While workers and consumers alike will be affected by the changes coming for Canada's automotive and agriculture sectors, plenty of other things in the revised North American trade agreement will affect Canadians. Here's a quick look at some of them. While workers and consumers alike will be affected by the changes coming for Canada's automotive and agriculture sectors, plenty of other things in the revised North American trade agreement will affect Canadians. The intellectual property chapter includes an extension of the length of time new biologic drugs will be protected from generic drug competition — up two years, from Canada's previously agreed-upon eight years, to 10 years of exclusivity. The U.S. was pushing Canada and Mexico to give 12 years of protection, so it's a compromise. Key congressional voices wanted to see a win for the pharmaceutical industry to help secure their votes. But down the road, Canadians will pay more for biologic drugs. It's a problem future governments will face in about a decade, compounding existing pressures over rising drug costs at a time when the Canadian population is aging. Copyright terms in Canada currently extend for 50 years beyond the year the creator of the work dies. But the U.S. and the European Union have longer terms: 70 years after the creator's death. The USMCA will bring Canada's copyright terms in line with those in the U.S. and Europe. That might be good news for the estates of creators, but it will increase costs for those who use something that's copyrighted. Despite the broad exemption for cultural industries that Canada successfully fought to keep in the USMCA, the Canadian government intends to adhere to this copyright extension. One of Canada's key objectives for the renegotiation of NAFTA was to open subnational (state and municipal) procurement in the U.S., so Canadian businesses could compete for more government contracts. Opening up government procurement was one of the most significant accomplishments in Canada's trade deal with the European Union. It holds promise for both goods manufacturers but also service providers — including small- and medium-sized businesses. The Americans would concede no such win to Canada in this negotiation. "Buy American" rules that block cross-border procurement appear untouched by the language in this deal. While much attention has been paid to Canada's dairy concessions, all five of Canada's supply-managed agriculture sectors are giving up shares of their protected market in this deal: dairy, eggs, chicken, turkey and broiler hatching eggs and chicks. The egg concession — 10 million dozen additional imports — will kick in the first year NAFTA 2.0 takes effect (that date itself is unclear, depending on how long the U.S. ratification process takes in Congress). Starting in Year 2, the market access for American eggs will increase one per cent each year for the next 10 years. The chicken concession appears to more than double the market access the U.S. negotiated in the Trans-Pacific Partnership (TPP): 57,000 metric tonnes phased in over six years, as opposed nearly 27,000 metric tonnes phased in over 19 years. Starting in Year 7 of the USMCA, the chicken access also will increase one per cent each year for the next 10 years. Canada will allow duty-free turkey to enter from the U.S. at a level equivalent to 3.5 per cent of the previous year's Canadian turkey production. The market access granted for broiler hatching eggs and chicks is 21.1 per cent of the Canadian domestic production for that year. It appears that list isn't changing and no commitments have been made to increase the number of TN visas issued by the United States, or to otherwise make it easier for citizens to work across North American borders. When NAFTA began in the early 1990s, certain medical professions — nurse practitioners, for example — didn't exist. The information technology sector that employs so many skilled professionals in high demand today did not exist. Unfortunately, IT professionals looking for easier access to visas to allow them to work in the U.S. aren't any further ahead. The language of Canada's existing cultural exemption is preserved in the new USMCA. But another cultural content concern emerged during the renegotiation to modernize NAFTA: the fate of digital audio and video content. Could the Canadian government design future regulations or funding programs to help Canada's cultural industries thrive in the digital sphere? The USMCA's digital trade chapter prohibits discrimination between foreign and domestic digital products. However, Canada's broad cultural exemption allows it to adopt content distribution rules, allocate funding and make other policies and regulations in support of Canadian culture. For cultural industries only, Canada remains free to block access to foreign digital content and could require a foreign content creator to pay into a government program from which it does not benefit. But being overtly discriminatory could invite litigation from American or Mexican competitors under the deal's dispute settlement provisions. Canada also appears to have successfully pushed back to preserve its "notice and notice" system for enforcing copyright infringement online, in the face of U.S. pressure to adopt its "notice and takedown" regime. The U.S. has preserved its investor-state dispute settlement system (ISDS) for certain sectors operating in Mexico, but in general, the Trump administration is not a fan of this system. Canada has begun to move away from it, too. In the USMCA, the ability of corporations to sue the Canadian government for discriminatory or arbitrary measures that affect their businesses is on the way out. Civil society groups have objected to Chapter 11 for years, arguing it infringes on a sovereign country's ability to regulate as it sees fit and sometimes results in "regulatory chill' — where governments opt not to strengthen things like environmental or labour protections for fear of being sued. Canada agreed to drop the traditional ISDS model and work with the European Union on a multilateral investment court to land its free trade deal with the EU in 2016. But NAFTA-style ISDS remains in the Comprehensive and Progressive Trans-Pacific Partnership (the original TPP's successor), so Canadian companies operating in Mexico will still have access to ISDS if they need it. 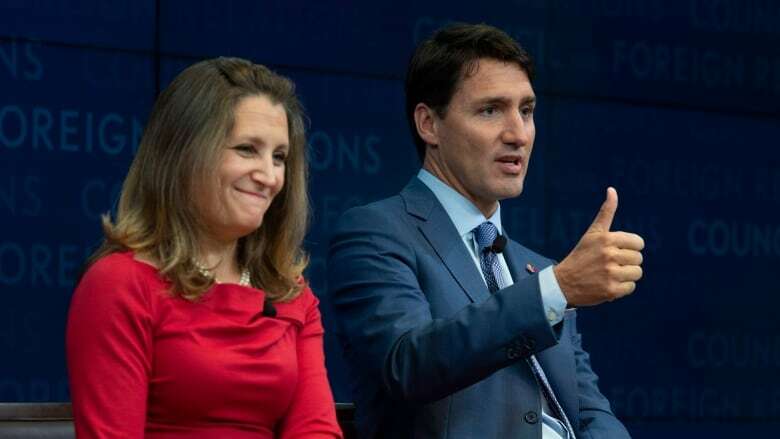 The Canadian government spoke of wanting to add an Indigenous chapter to a revised NAFTA, to recognize and respect treaty rights and obligations. There is no standalone chapter on Indigenous rights in the USMC. But there is an exemption that says "nothing in this agreement shall preclude a party from adopting or maintaining a measure it deems necessary to fulfil its legal obligations to Indigenous peoples." That would appear to ensure the new trade agreement doesn't interfere with ongoing litigation over Indigenous rights, or other funding or policy decisions in Canada pertaining to Indigenous people. Three months before starting negotiations with a non-market country, the other USMCA partners must be officially informed, and "as much information as possible" must be provided about the objectives of the negotiation. Before signing a new agreement, the other parties in the USMCA must be given an opportunity to review it and assess its impact on them, and to decide whether amendments are required to address concerns. Failure to do so would terminate the North American deal. This appears to require that Canada consult with the U.S. in advance of any free trade talks with China. In a side letter, Foreign Affairs Minister Chrystia Freeland commits the B.C. government to eliminating its rules that allow only B.C. wine to be sold on regular grocery store shelves. Americans had requested a panel arbitration at the World Trade Organization in an attempt to reverse the provincial government's protectionist sales policy. This side letter appears to commit Canada to proactively ending this restriction in advance of a final ruling from the WTO on its legality under international trade rules. An earlier version of this story said that Canada is not free to block access to foreign digital content, nor could it require a foreign content creator to pay into a government program from which it does not benefit. In fact, the broad cultural exemption Canada negotiated allows for these things.